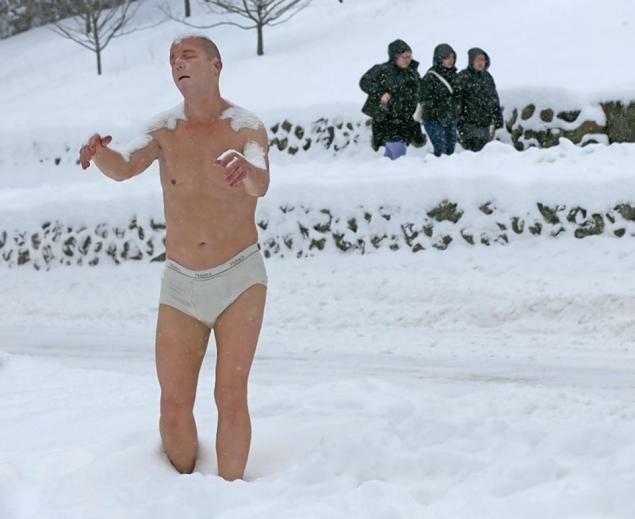 Sleepwalker – a lifelike sculpture of a man walking in snow – has drawn a mixed reaction from students at Wellesley College in Massachusetts. The artwork depicts a somnambulant in nothing but underwear at Wellesley College. Nearly 300 people have signed a petition to have the statue removed. The work, on campus to promote a forthcoming exhibition, is designed to trigger “unexpected new ideas”, the college president said. The sculpture – by New York-based Tony Matelli – was placed in a busy area of the Wellesley College campus days before the opening of an exhibition of the artist’s work there. Students have reported feelings of apprehension and fear after witnessing the sculpture, and have called for it to be removed. The art exhibition at the college’s Davis Museum runs from February 6 to July 20.